It’s the start of a new year and one the resolutions that top most people’s lists is to get healthier or lose weight. This causes people to reevaluate what they eat and hopefully make some changes. One way of doing this could be a fast or cleanse in order to give your body a reset. Juice cleanses are gaining in popularity and something you see everywhere now. You can find them at juice bars, local health food stores and even order them online. However, these are often pricey and might not even benefit you, depending on your current health situation and expected outcomes. Here are some questions to ask yourself before shelling out money for a pricey juice cleanse package. 1 What is your current diet like? 2 Do you have any medical conditions? 3 Are you doing a cleanse for weight loss? 4 Are you looking for an energy boost? What is your current diet like? Do you eat an adequate serving of fruits and vegetables a day, or do you subsist on take out and pre packaged convenience foods? The more preservatives in your body, the more you will have to clean out, and a cleanse might be beneficial to your body in order to give your digestive system a break. However, if you eat a generally healthy diet with the occasional treat, your body shouldn’t be toxic enough to warrant a whole juice cleanse. The human body after all does have its own built in detox system, namely the kidneys and liver. Those organs convert toxins into compounds that are eliminated from the body in our sweat, urine and feces. So, you can certainly add in a juice to up your fresh produce intake, but a whole cleanse should not be necessary. Having a medical condition could cause complications and extra care should be taken when making health decisions. For starters, you should definitely consult with your doctor before doing a cleanse or altering your diet in any major way. Depending on the type of condition you have, a juice cleanse could be either helpful or detrimental. Fruit naturally contains a high level of sugar, therefore even homemade juices have the potential to cause a spike in blood sugar. Without the fibers of the fruit to slow the absorption of the sugars, juices cause a larger spike in blood sugar than whole fruit does. These are the types of blood sugar spikes that diabetics should avoid. On the other hand, juices don’t require as much energy for your body to process as the mastication (chewing) has already been done. This leads to a little less stress on your gut and digestive system. Those with inflammatory bowel disease or Crohn’s disease might find some relief in doing a short cleanse. However, you should still consult with your doctor first to be sure that whatever course of action you take will not aggravate your condition or harm you in any way. Are you doing a cleanse for weight loss? If you are doing a juice cleanse hoping to lose weight, you will most likely be disappointed. While you might lose a few pounds initially, the weight will most likely return once you start eating solid foods. If weight loss is your goal, avoid juice cleanses and instead focus on eating a fiber rich diet full of fresh fruits, vegetables, legumes and whole grains. One thing that is very important for weight loss and digestive health is fiber. Based on a 2,000 calorie diet, adults should eat 28 grams of fiber daily. Many juice cleanses fall short of that because the fibers of the fruit are broken down and strained out. Do your research before going on a cleanse and find out exactly what nutrients you will be getting. Perhaps you feel sluggish after you eat a meal or maybe you have a low level of energy all the time. 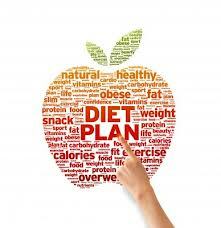 This can certainly be attributed to diet and rectified by modifying the way you eat. Going on a cleanse will most likely provide you with a boost of energy right after drinking a juice. These energy boosts though are caused by the amount of sugar that you are consuming that is immediately available to your body without the fibers of the fruit to digest. As you may know, what goes up must come down, so these energy spikes could also be followed with a crash. If you are looking to naturally boost your energy, a morning juice followed by a workout and a day of healthy eating might be a better option. 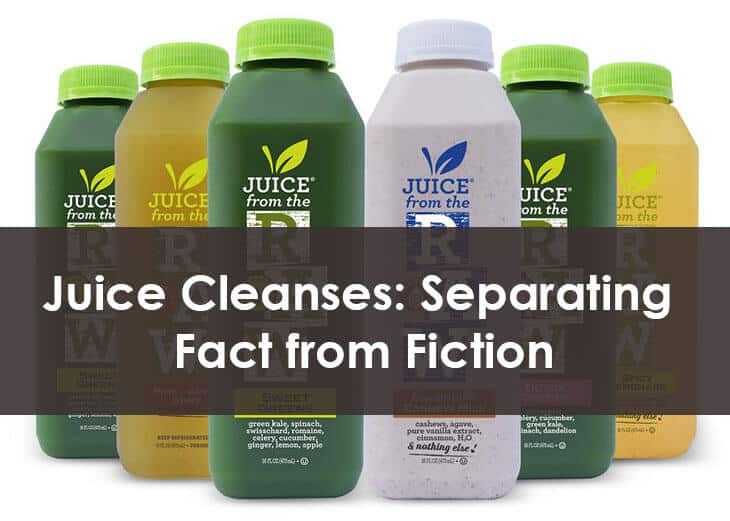 Considering the above questions, maybe a cleanse is right for you, and maybe it’s not. Either way though, adding a daily juice to your diet can be a great accompaniment to an already healthy diet and lifestyle.